Convertibles, like the customizable HP ENVY x360 convertible laptop, are a constant reminder of the laptop industry’s steadfast hold on this technology-ridden world. In an attempt to create the perfect laptop- tablet hybrid, companies like Lenovo and Dell have put out their own designs for the masses to critique. Unlike the Dell XPS and the Lenovo Yoga 2 Pro however, the new HP ENVY x360 -15t touch just makes more sense. 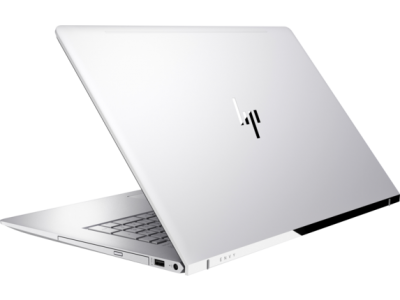 The question now is whether this great inclusion in the HP family can fare against the performance of the new Lenovo Flex 5 15″ and the rest of the multi-flip hybrids in the market. First impression on HP ENVY x360’s design includes the words beautiful, elegant and sophisticated. This hybrid PC is cased with a brushed aluminum finish in silver. A very strong, well thought-out hinges allow the multi-flip mechanisms to work its magic while users convert from viewer to tablet to laptop mode. As a laptop, the HP ENVY x360 contains a good number of ports packed in its slim figure. The full-size backlit keyboard it crunchy with well-spaced silver keys. And although the keyboard’s backlight isn’t customizable, it should suffice for working in dark places. Some users have already found carrying the ENVY x360 – 15t in tablet mode is really comfy. Take note though, unlike Yoga users, ENVY x360 2-in-1 touchscreen laptop owners wouldn’t have to experience the discomfort of having exposed keys at the backside. The 15.6-inch IPS edge-to-edge glass display will boast a full HD view at 1920 x 1080-p resolution. Hybrid hard drive boots in seconds. Ultrabooks were never built for extreme gaming. Fortunately, an Intel UHD graphics allows playability on moderate settings for games like Skyrim. And like most high-performance multi-flip convertibles, the HP ENVY x360 convertible laptop will run Photoshop CS5 with ease. Tap and touch screen functions are highly responsive and accurate. Admittedly, the HP ENVY x360 – 15t fare well in benchmark scores against its counterparts Lenovo Flex 5 15, Vizio CT-15 and Acer Aspire R7. The era of going wireless all the way is upon the industry. However, in the ENVY x360 model, HP have removed the Ethernet. The x360 – 15t touch has three 3.1 USB ports and a HDMI, 1 headphone/microphone combo. As tech gurus have called it a worthy successor to the HP Pavilion 11t, the ENVYx360 should also claim the throne for sensible innovation. This laptop-tablet hybrid is pretty to look at without having to compromise durability. Whether it is the best choice for certain users shall be weighed in the following lists. 1. Bright and Crisp Display. It is bright, vibrant and has a wide range of viewing angles. 2. Sturdy and Elegant Hinge System. This type of two-hinge system may have started with Acer Aspire’s R7, but as one avid HP user has mentioned, the x360 has nailed this aspect undoubtedly. 3. Keyboard Isn’t Sticking Out. 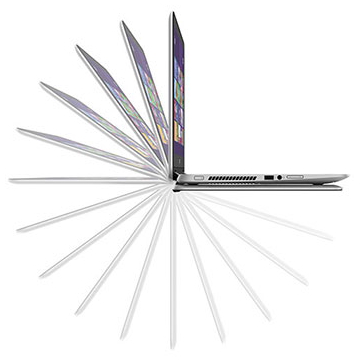 Unlike the Yoga, the HP 360’s keyboard does not stick out and looks like a piece of art. The hinge system was designed so that the display does all the flipping. 4. Fast, Responsive and Precise Touchscreen. The ENVY x360 – 15t is perfect for artists and designers, not only because of its responsiveness, but also because of the accuracy of the Control Zone trackpad. 1. Mediocre battery life (up to 9 hours). This x360 model doesn’t have the best battery life, especially if considered categorized under tablets. As a laptop, however, it’s passable. 2. Some users have noticed, when it attempts to come out of sleep, it takes relatively long time to wake up. It is actually quicker to shut it down and start from the beginning. HP design engineers may have hit the jackpot in creating the HP ENVY x360. This beautiful, not complicated to use laptop is a one of a kind convertible showcasing how serious HP is with their designs. This is a high-performance hybrid laptop which is a luxurious tablet, and extends to an HDTV or monitor like a robust desktop while running at cool temperature. Its two-hinge system makes more sense than other convertibles currently out in the market. This multi-flip PC clearly conveys the message that HP is catching up with the hybrid advent.Whether it is a note-worthy successor of the Pavillion 11t or not, the ENVY x360 will certainly make a name for itself.